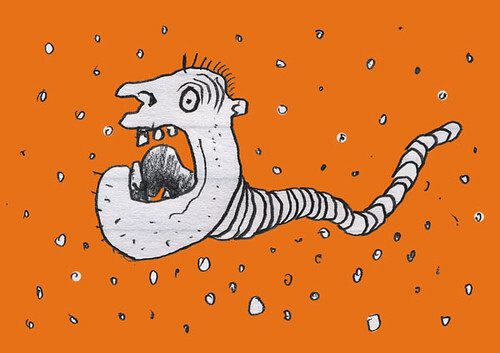 Scaredy Worm, originally uploaded by mcglinch. Found this guy when I was digging up the turf alongside the driveway this weekend. He was none-too-happy to shown the bright sun and drying wind. Think I’ve been looking at too many of VK’s grub pix and Chowderhead Bazoo’s Ballad of Wormboy. This entry was posted in worm. Bookmark the permalink.